In 1972, a collection of notebooks, manuscripts and photo albums belonged to Edward Walter Hutchinson was donated to the Royal Asiatic Society. Hutchinson is the author of Adventurers in Siam in the Seventeenth Century, published in 1940. He is also known for his annotated translation of Mémoire du Père de Bèze, published under the title 1688 Revolution in Siam in 1968. 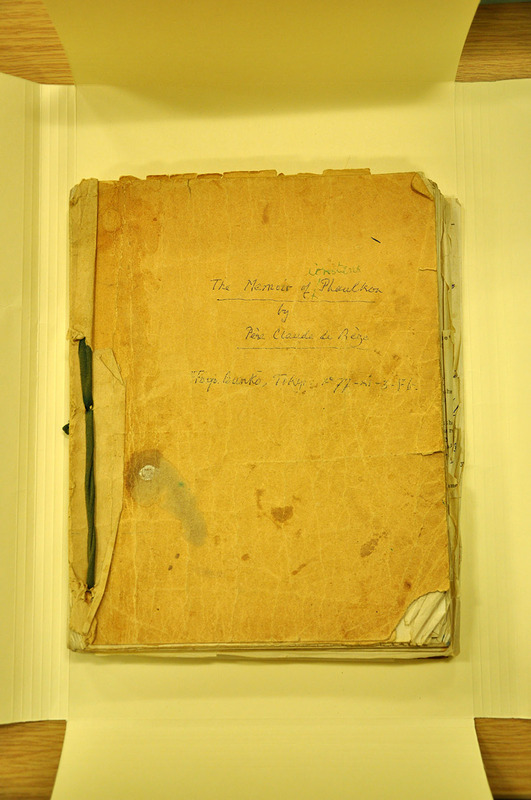 A majority of Hutchinson’s manuscripts, notes and correspondence is concerned with these books which deal with the Siamese Revolution – a major upheaval that led to the overthrow of Siamese king Narai in 1688. Hutchinson’s professional life was very much connected to the region of Southeast Asia. He has worked with the Bombay Burma Trading Company in Thailand for more than twenty years. 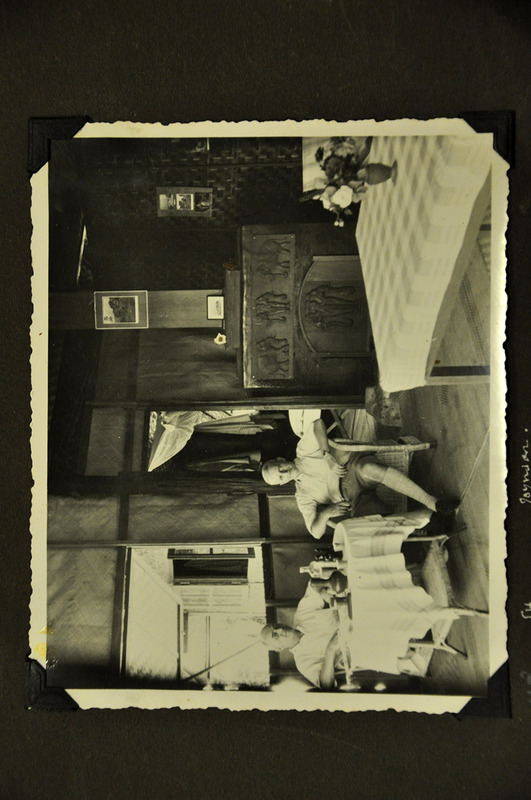 He also served as British Vice-Consul in Saigon, Vietnam before he became British Consul in Chiengmai, Thailand. 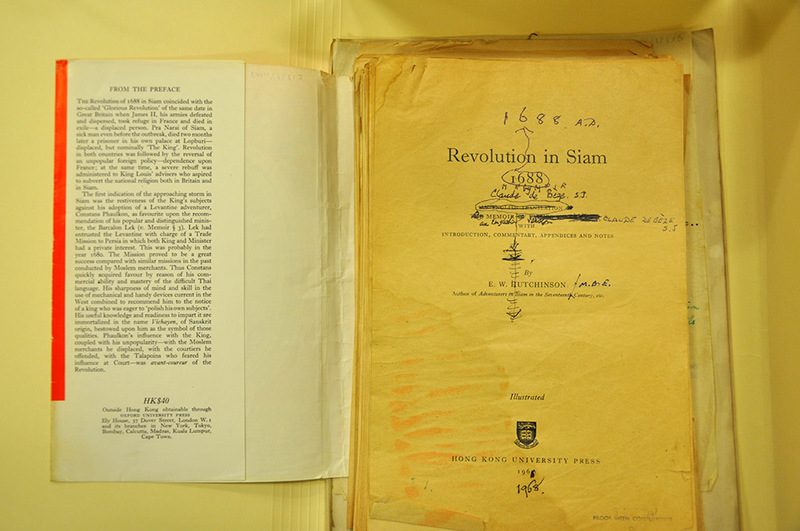 In addition to Hutchinson’s published work, he also contributed several articles to the Journal of the Siam Society between 1933 and 1939, and was made an Honorary Member of the Siam Society in 1970. 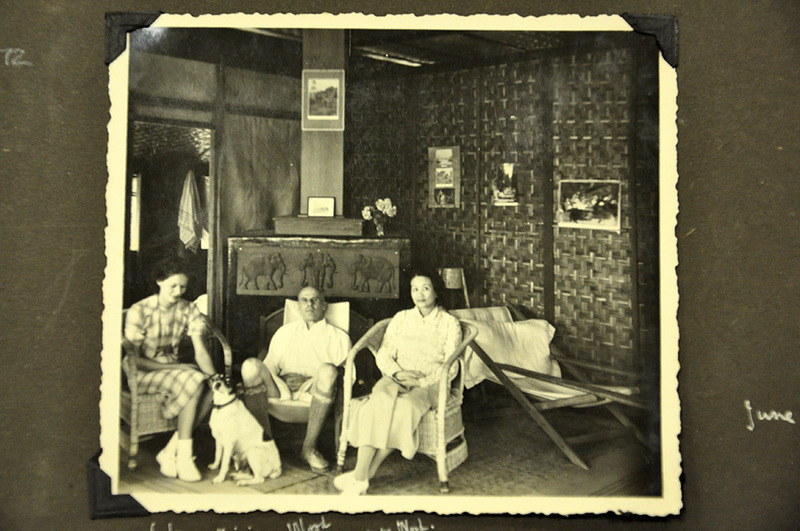 While his interests in the people and tradition of Southeast Asia, notably Thailand, is reflected in his writing, Hutchinson also left behind him a visual record of these places in two photo albums.